Today we’d like to introduce you to Susan Tierno. Suzy’s Swirl is a Frozen Dessert Store. We swirl yogurt, gelato, sorbetto, cakes, pies, ice cream sandwiches, canolli’s and so much more. Suzy’s Swirl was created at a time that my family was healing from a great loss. In October 2011 my husband passed away suddenly and together with my four kids, family and friends we started to heal! In the midst of our grief and healing, my sister Kathy and daughter, Jen decided to open a Frozen Yogurt store, along with a lot of support from my family and friends! 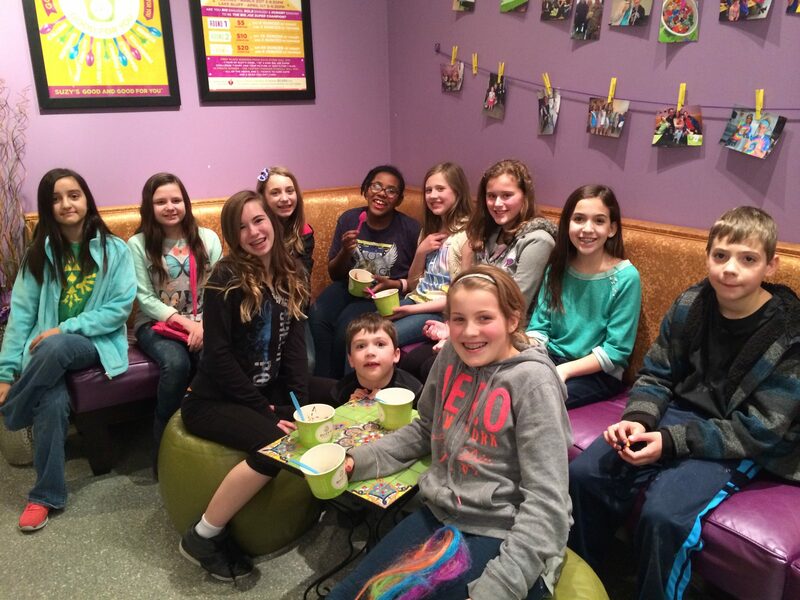 In August of 2012, we opened Suzy’s Swirl in Gurnee, Illinois! In these past 6 years, we have grown so much in our personal life and business life! I wanted to show my kids that at this time of great sadness and loss, that we would all find joy, happiness, and love again. That is what Suzy’s Swirl has been for all of us! At Suzy’s Swirl we Swirl Greatness for our Crew, we Swirl Goodness for an Awesome Product and we Swirl Gratitude for all of our Customers. 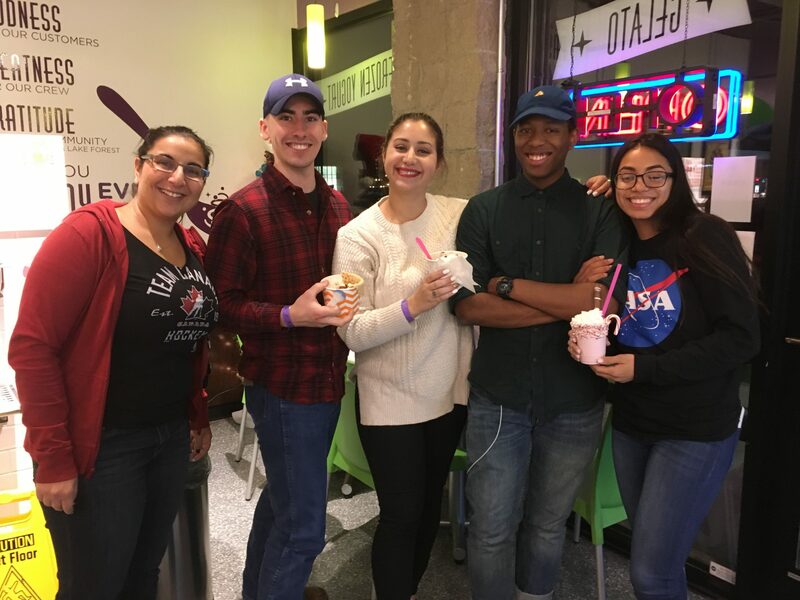 We believe we are not just any Frozen Dessert place, but the Communities Frozen Dessert Place. Without the support of our community, we would not exist. With that support, we feel it is just as important to give back to the Community. We host many FUNdraisers for the local schools and organizations, we are the 4th of July Parade sponsor for the Children’s Parade, we support Bike Races and Bike Safety and we donate to the local colleges in our area too! 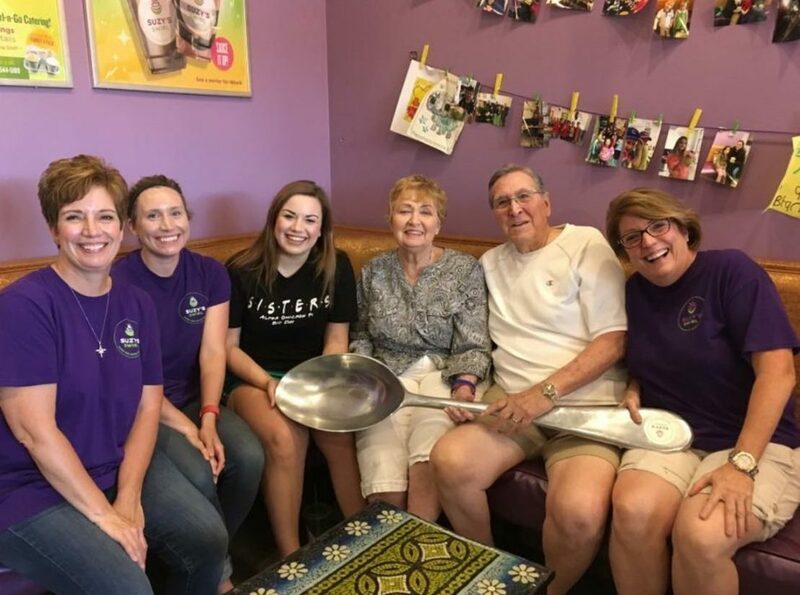 The foundation of Suzy’s Swirl is all about Family! Suzy’s Swirl was created from the love and importance of Family. All of our crew and each customer that walks through our doors are part of our family! Even the wacky family members, you know we all have at least one! Has it been a smooth road? Such an interesting question! Have there been struggles along the way? Another interesting question! Starting any kind of business, I believe, will always have some rough spots and struggles. Starting a business with family, in my experience, has another layer of interesting struggles too! First and foremost, I am forever grateful for entering my first business deal with my family! My sister, Kathy is truly the brainchild of Suzy’s Swirl! She has over 30 years experience in the Restaurant Business. Together, it was Kathy and a bunch of knuckleheads that opened Suzy’s Swirl! With great leadership, understanding, training and lots of hard work, we did it! Over the past 6 years, we learned how to separate work and home. We learned how to find our inner voices, that we are stronger than we thought and it really is great to work with your family! 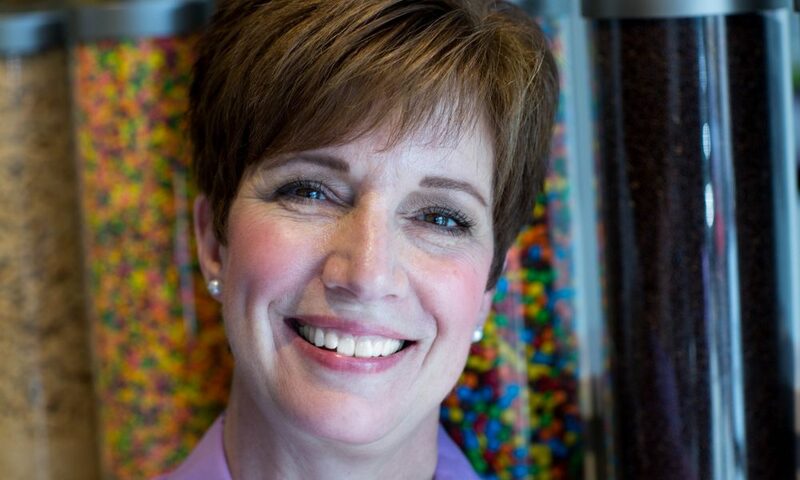 So, as you know, we’re impressed with Suzy’s Swirl – tell our readers more, for example, what you’re most proud of as a company and what sets you apart from others. Suzy’s Swirl is a Frozen Dessert Company. We are a family owned business, that Swirls frozen yogurt, gelato, sorbetto, cakes, pies, cookies, quarts, pints, cannollis and much much more! We are committed to being on the cutting edge of frozen desserts. We have brought a high-quality product with no corn syrup or GMO’s to our store and customers. We are always looking for new flavor combinations and tastes to bring great flavors and toppings to our customers! At Suzy’s Swirl, we also offer a Big Joe Challenge, in honor of my husband, Joe. You have 20 minutes to eat 64 ounces of Frozen Yogurt and 8 ounces of toppings. If you succeed you get a custom Suzy’s Swirl Big Joe t-shirt and a gift card to enjoy a cup at your leisure. If you don’t finish the 64 ounces you give us $20.00 to go towards the American Heart Association! We have had a few compete for this challenge, many you have not! 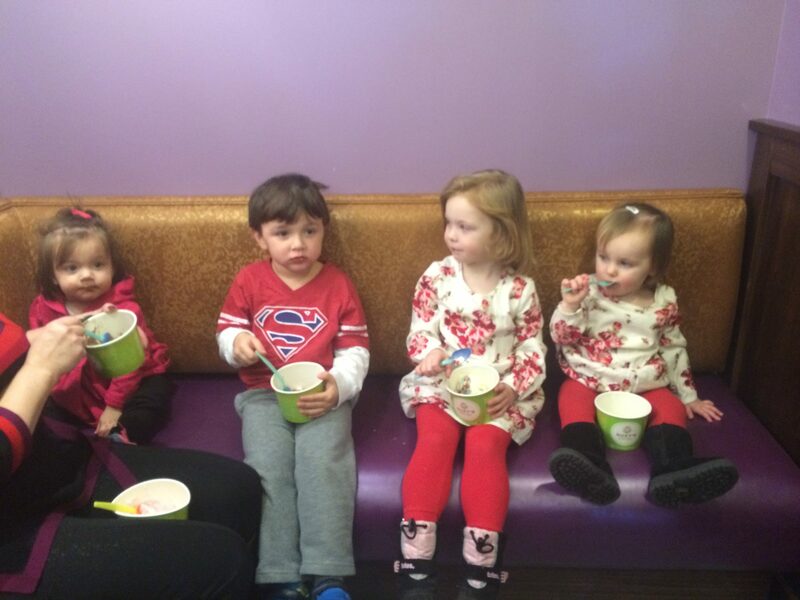 Suzy’s Swirl is known as a place to celebrate birthdays, concerts, dances, all the way down to losing your 1st tooth to being brave at the eye doctor! Suzy’s Swirl is always looking to the future of where Frozen Desserts are going! We are in the beginning stages of bringing Suzy’s Swirl to specialty retail stores! What better way to enjoy Suzy’s Swirl by having it in your freezer at home to enjoy anytime you want! Each minute, each day, each year, the world is changing. Our diets are constantly changing, our customer’s needs are changing. Our commitment is to be able to change and still be a constant, trusted and craveable product for our customers!